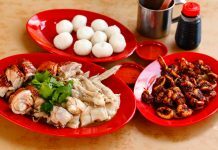 Home Eat Yet Another Melaka Food Guide – What’s Good & What’s Not? 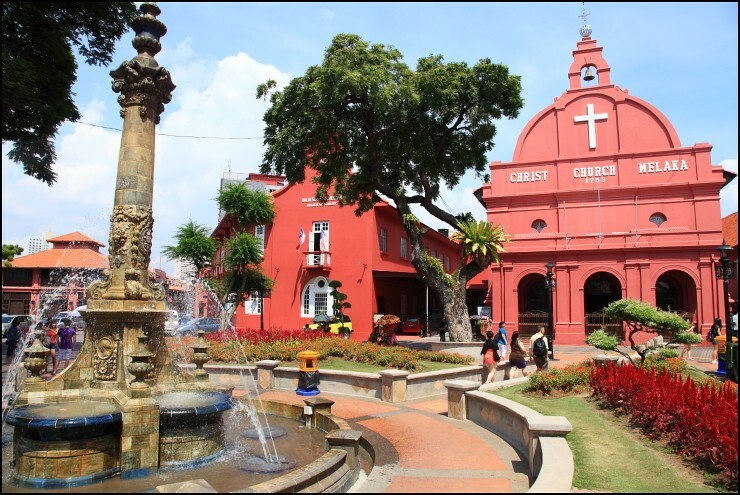 So I was at Melaka again over the last weekend for yet another food hunt. 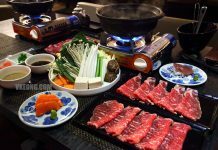 The mission remains the same: to provide good alternatives to the overcrowded makan places so that you won’t have to queue to eat, as well as weeding out the bad ones (yet highly recommended by various sources) so you can avoid them. 1. 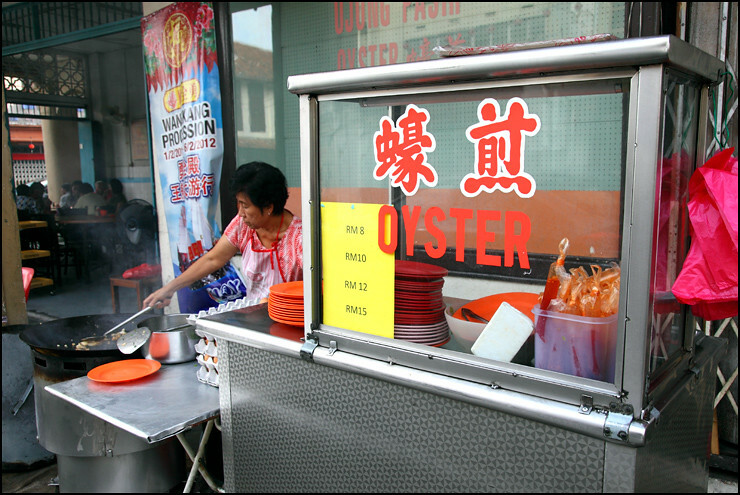 Sin Yin Hoe’s Fried Oysters – This is so much better than that lousy O Chien at Bunga Raya Food Court which I still can’t believe people are actually lining up for. The omelette is void of preserved turnips, nicely cooked and not tore into tiny, miserable pieces. 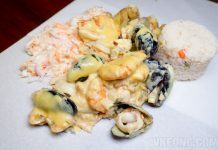 Oysters are fresh and although not big in size, the generous amount makes up for it. 2. 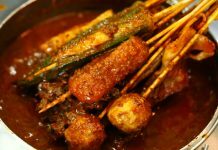 Kingtu Satay Celup – Tastes as good as the ‘famous ones’ minus the queue, reasonably priced (70 cents a stick, some items have multiple sticks on them) and the ingredients are fresh. Good consistency on the peanut sauce and the taste is just right without being overly sweet. And what’s better, there are no dozens of eyes staring at you, hinting you to give up your seats. 3. 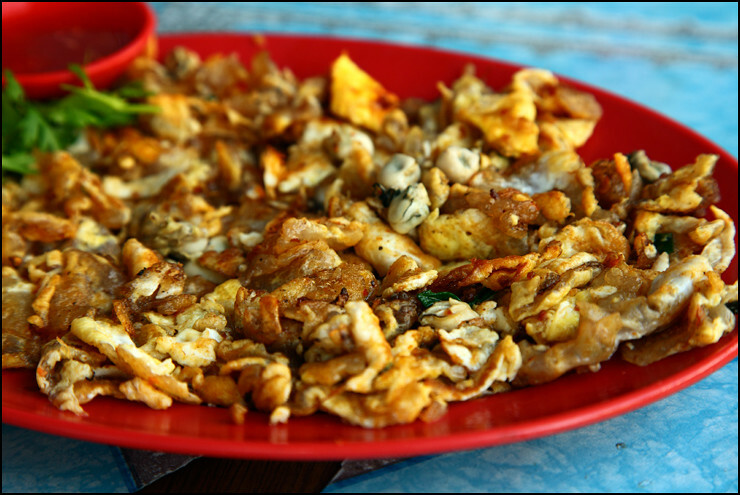 Hassan’s “Best in the World” Mee Goreng – This spicy mee goreng is really simple, just fried using yellow noodles, bean sprouts and sambal. 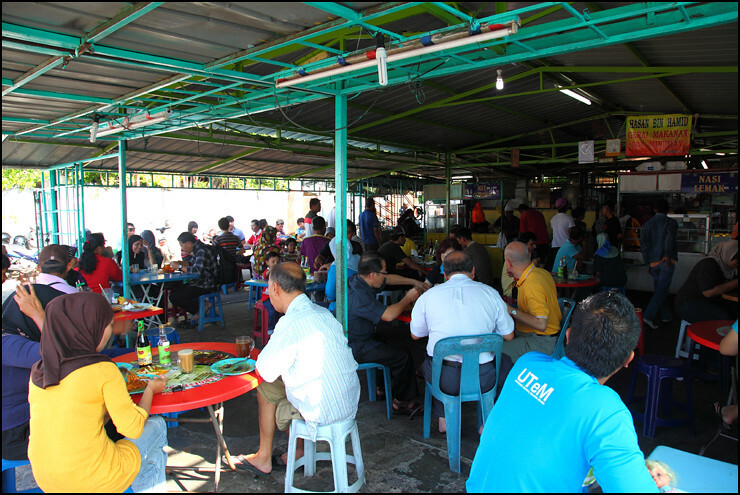 For that simplicity, it is also referred as ‘Mee Bodoh’ by the locals. 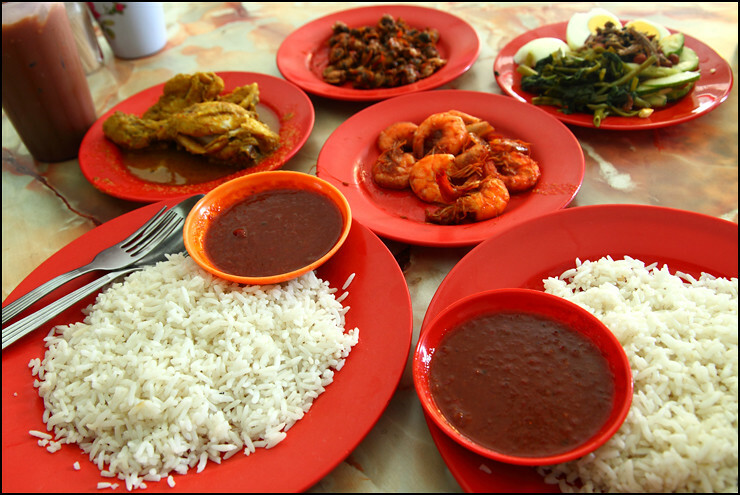 Few years ago it cost only RM1 per plate. 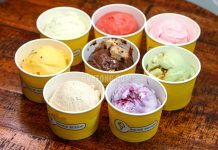 Now, the price has increased to RM1.50 each. Quite crowded in the morning but turnover is very fast so you probably won’t need to wait long. 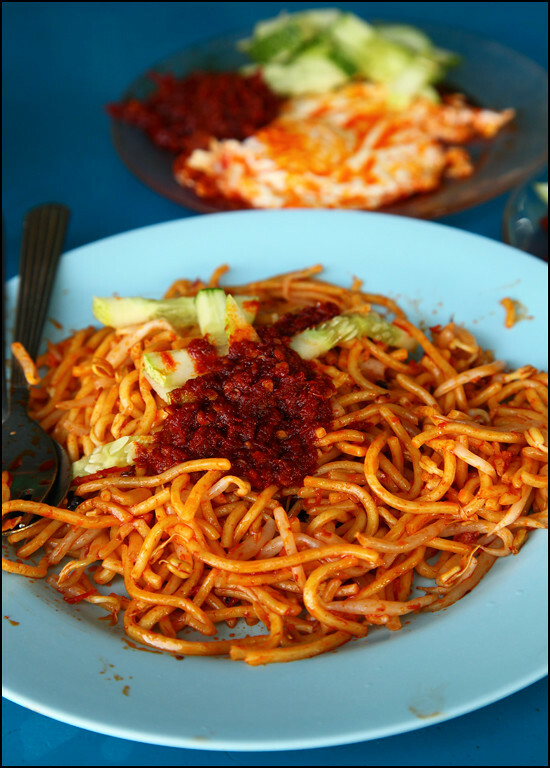 The noodle’s spiciness can be adjusted to your own liking by adding as much sambal as you want since it is pretty much free flow. Mix the half-cooked sambal fried egg into the noodles, add some kicap or vinegar and you are good to go. 4. 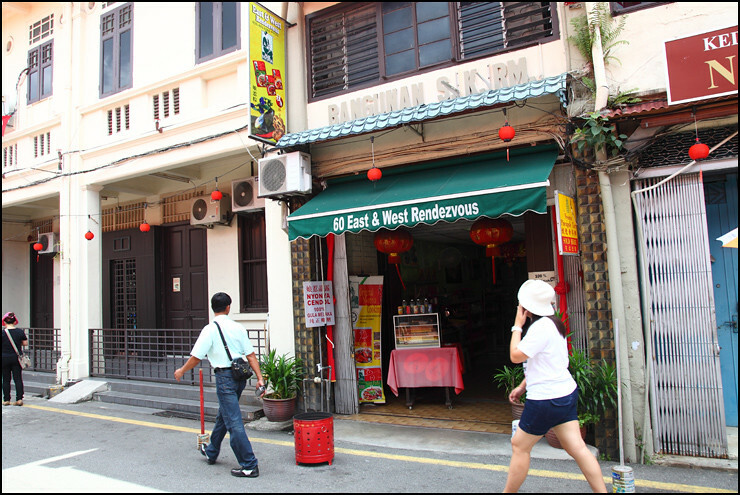 Move over Jonker 88, I have found my favorite cendol in Melaka at East & West Rendezvous Cafe. 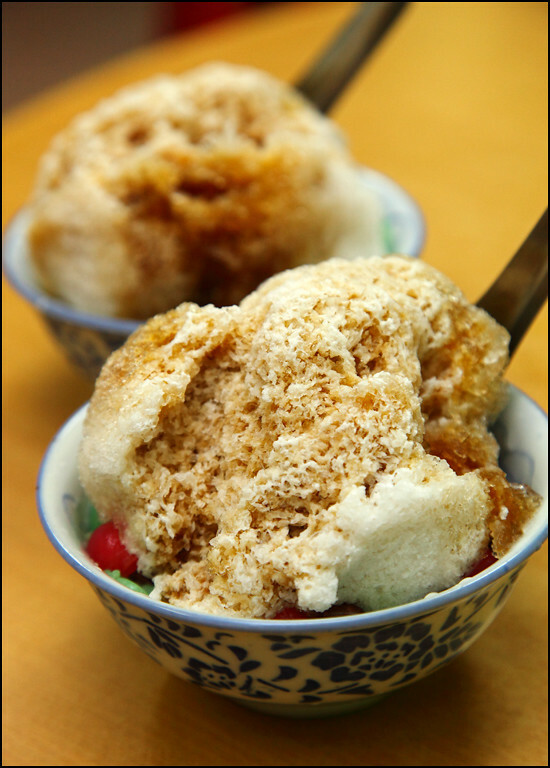 Made according to traditional recipe and using only 100% pure gula Melaka, it has the perfect balance of sweetness and creaminess. 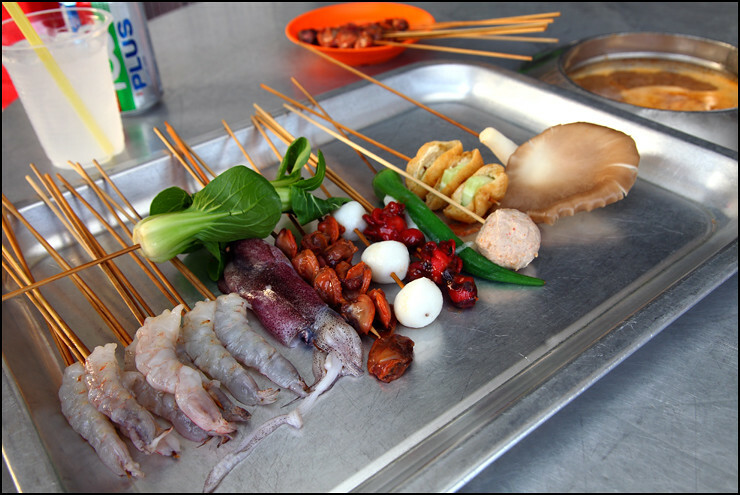 If you do not have the luck of visiting Aunty Koh at Bukit Rambai, try this instead! When I saw customers coming in and taking away dozens of Nyonya kuih, that’s the first hint that they should be good. And I was right. 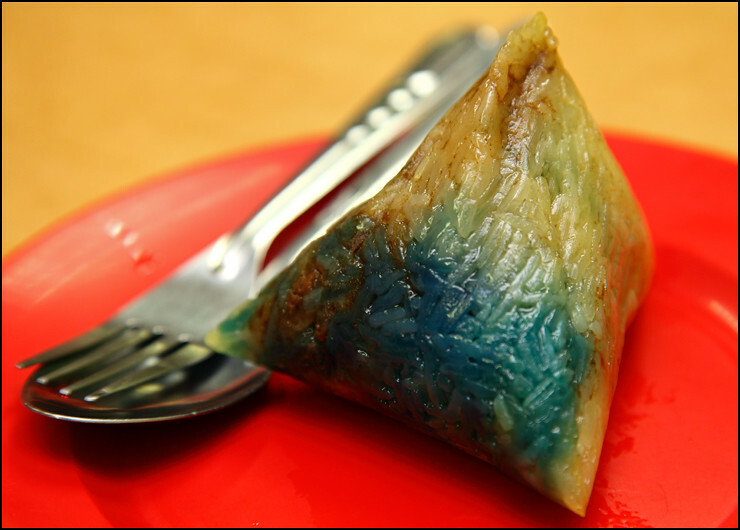 The Nyonya Chang (dumpling) here tastes like those from the old days, it has a filling of dried shrimp, mushroom and pork cooked with sambal and spices – simply delectable. If you came here without trying the Chang you don’t know what you’re missing out on. Now, I only regret not trying the rest of the kuih they have like kuih koci and rempah udang. 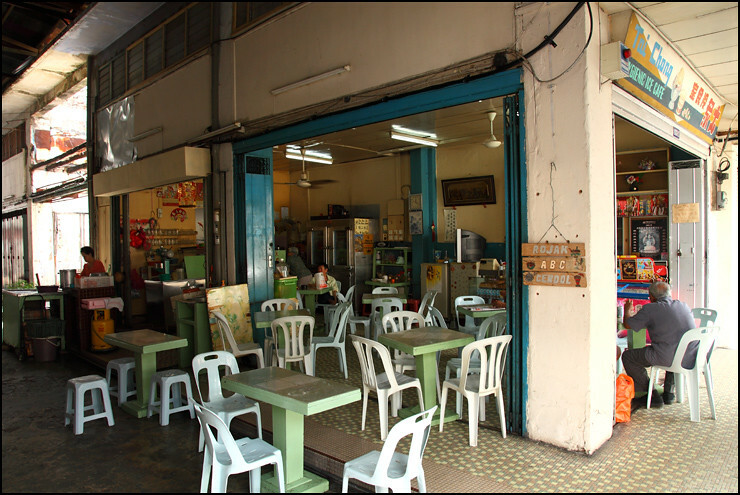 60, Lorong Hang Jebat, 75200 Melaka. 5. I wouldn’t believe it but the best Nyonya Laksa I have had so far is not at a boutique cafe claiming to serve authentic Nyonya food. 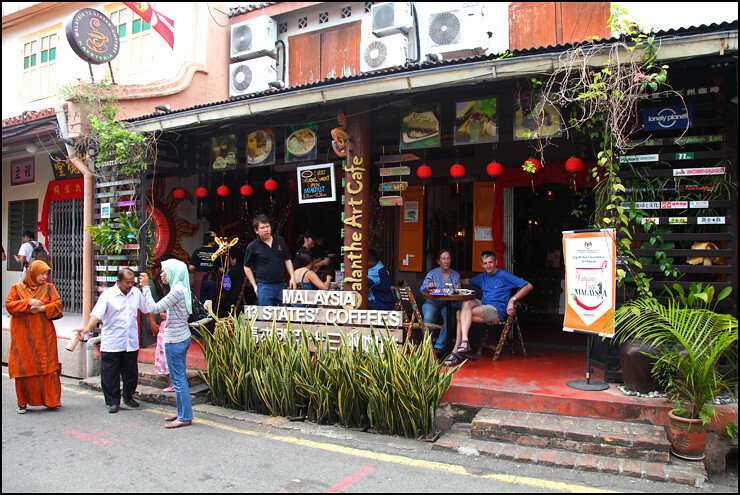 Instead, I found it at Calanthe Art Cafe, a quaint kopitiam that has a tagline of “Malaysia 13 States’ Coffees”. 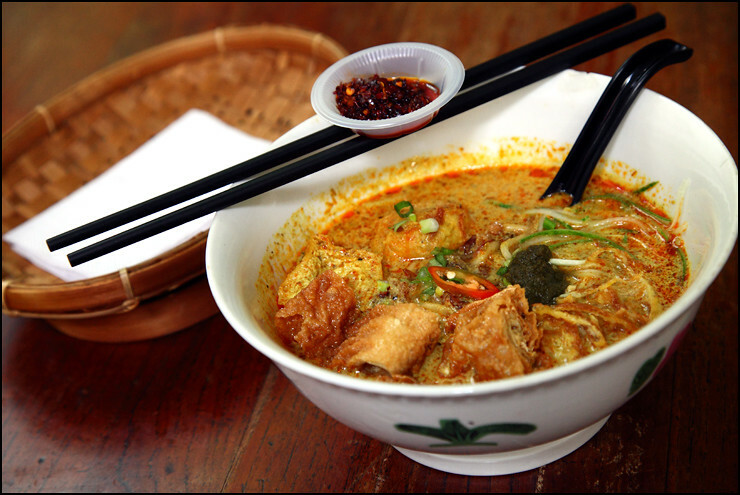 The cook certainly knows his stuff and prepared the laksa broth to be creamy and rich with coconut gravy just like the way it is meant to be enjoyed. And now for the OK ones, not bad but also nothing spectacular. 1. 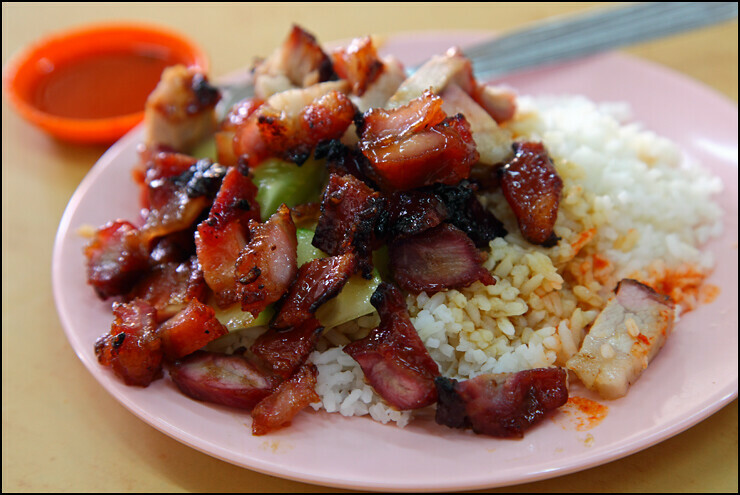 Bunga Raya Char Siew Rice – Said to serve the best Char Siew in Melaka. 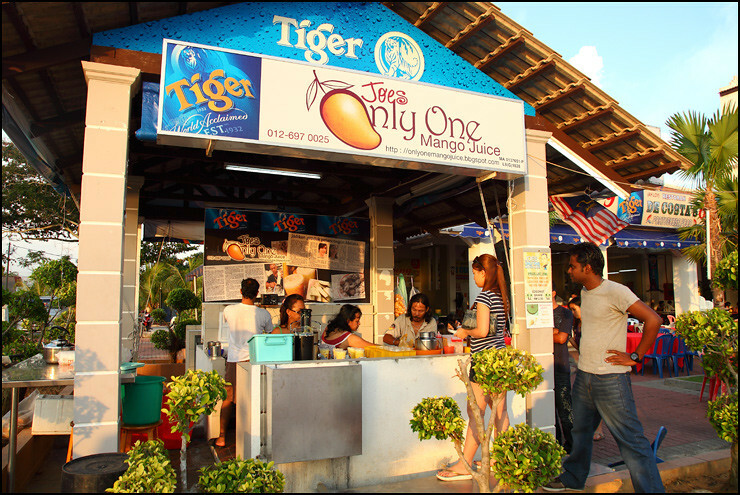 I beg to differ though, as I find the one at Batu Berendam better. 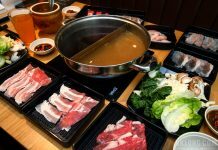 I would say both have equally good Char Siew that resembles like ‘yuk gon’ (Chinese dried BBQ pork) more, but Chuen How is the clear winner because their Char Siew sauce is thicker and tastes nicer. 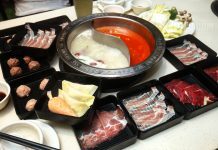 If you are eating at the food court, you don’t need to be put off by the long queue of people who are taking away. Just grab a seat and you will be served in a jiffy. 2. 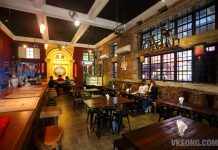 Burger Maut – I have been wanting to try this since I heard about it. But it turns out it is nothing more than a fancy Ramly burger. 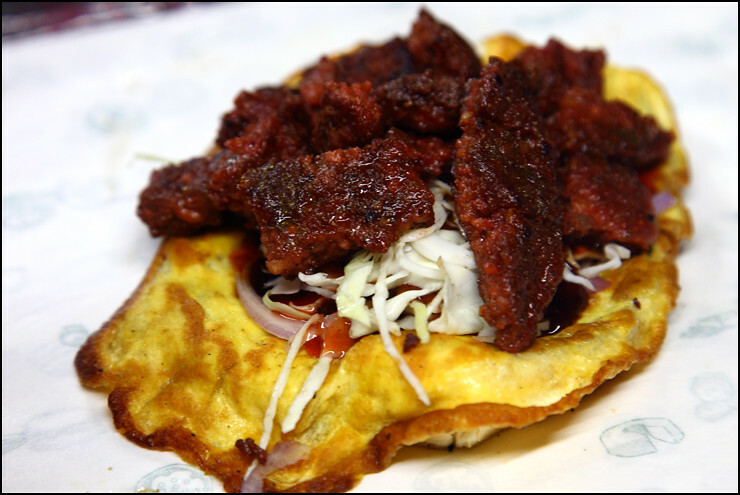 One of their specialties would be the ‘Convert’ (shown pic above), basically a hot dog made from burger patty hence the name. My advice is to ask Abang Fuad to go easy on the black pepper sauce because the sweetness is kind of overwhelming. Another reason to visit would be for the show. 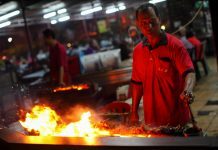 How often do you see high flames at the usual burger stall? Well, I don’t. 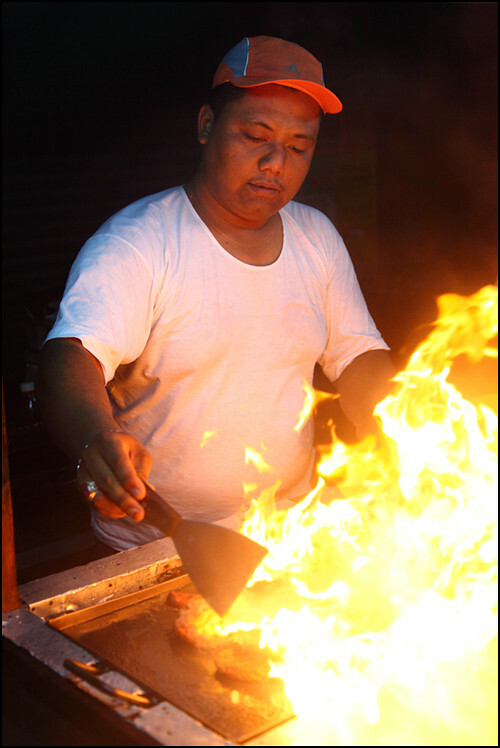 While Abang Fuad is frying the patties, a few squeezes of garlic oil are added that sets the high flame. 3. 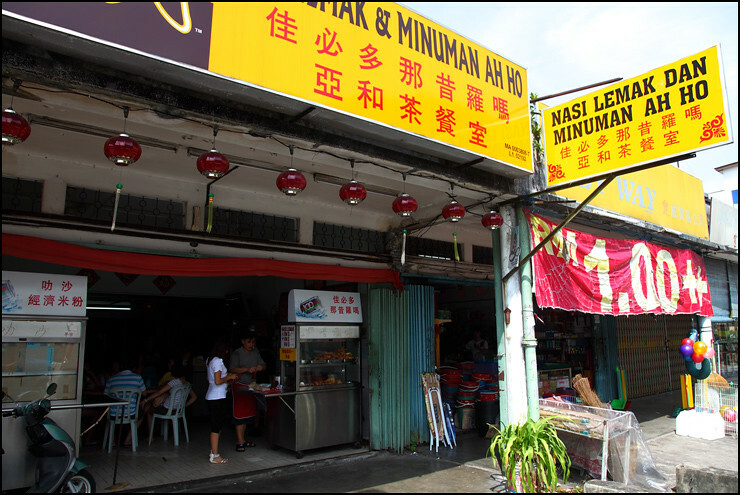 Capitol Chinese Nasi Lemak – Luckily the rice is fluffy and fragrant, else it would not even end up in the ‘OK’ category. The side dishes are not bad but I could probably find better ones at any economy rice stalls. The sambal is disappointingly diluted, tastes sweet and lack the kick, not exactly the kind I like. 4. 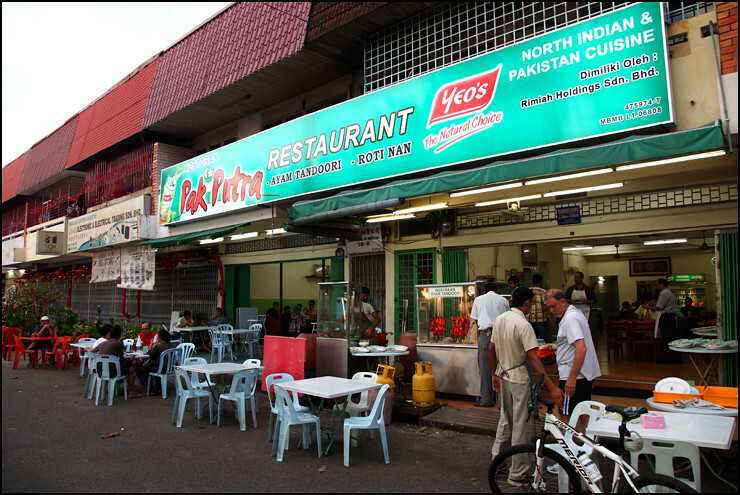 Pak Putra’s Tandoori Chicken & Naan – Whoever says this is the best tandoori in Malaysia has obviously never been to Penang, Bangsar or Brickfields. If you are coming here expecting it to be great you will go home disappointed. 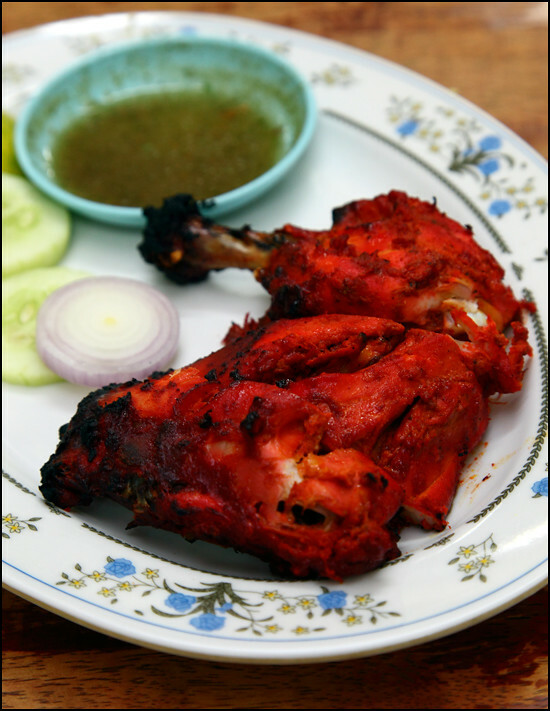 Don’t get me wrong, the tandoori is nice but not special enough to warrant a trip. 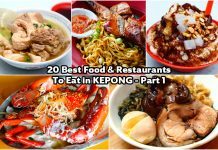 Only recommended to try if you are really out of things to eat in Melaka. 5. 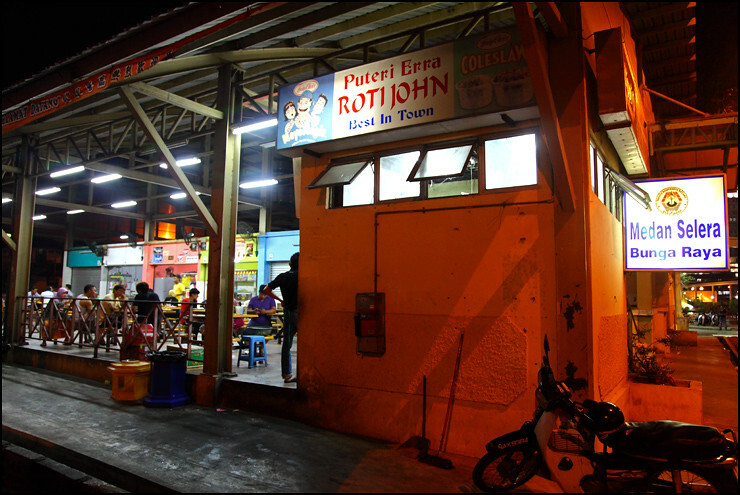 Barkat Roti John – This is one of the oldest Roti John restaurant in Melaka and the location is next to the Pantai Puteri beach, about 14km away from town center. 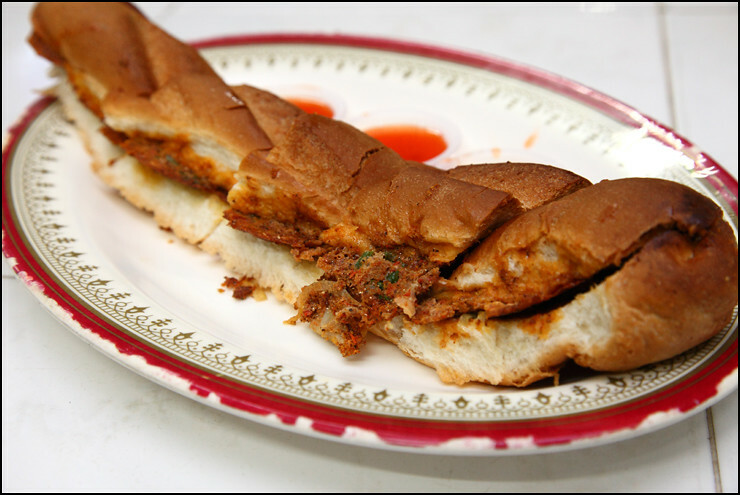 Barkat’s version of Roti John is different from what you usually get at pasar malam, where no lettuce or mayonnaise are used in the sandwich. Minced anchovies and parsley are in place instead so it smells and tastes more fragrant without being too ‘jelak’. 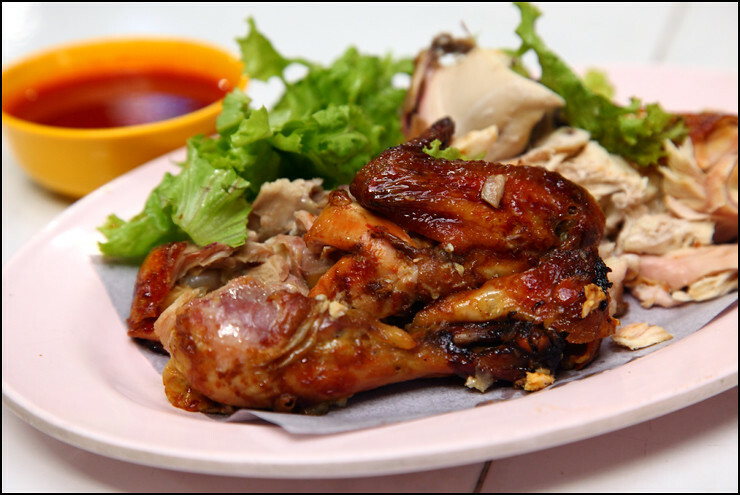 Ayam Golek is another specialty here and we couldn’t resist ordering it because they looked too tempting in the oven. Too bad it looked better than how it tasted. The chicken is no doubt tender and juicy but seriously lacking in flavor. 6. 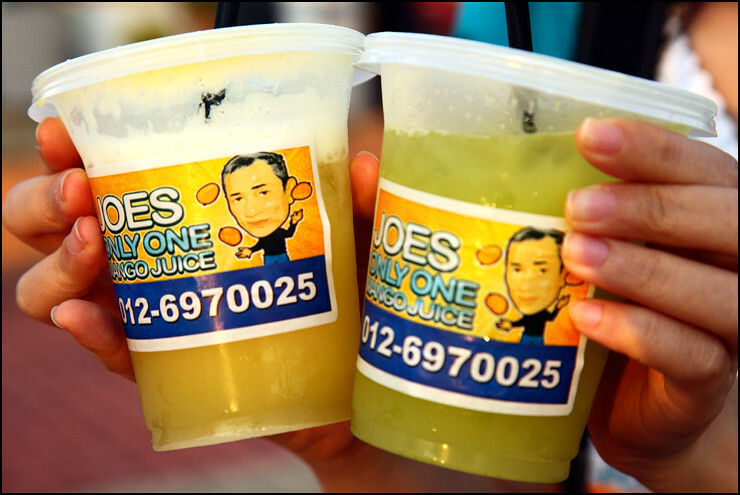 Joe’s mango juice was our main objective and unfortunately it was unavailable. Apparently the mangoes are only flowering now and would only bear fruit 4 or 5 months down the road. So now they have come up with three alternatives while waiting for the harvest: pineapple juice, lime juice and coconut shake. Honestly speaking, what you get is just a cup of oversweetened juice that tastes slightly special because of the added salt and sour plum. 7. 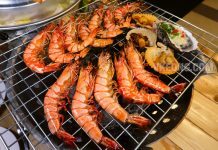 Seafood at Perkampungan Ikar Bakar Terapung Umbai. 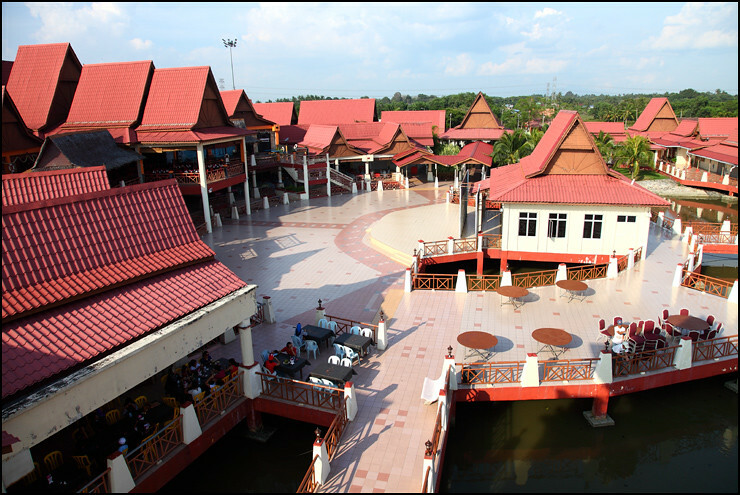 There are dozens of stalls in this floating ‘village’ compound. 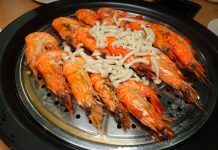 We did not know which is good so we picked Enak Rasa Ikan Bakar because they had the most customers. I think you could say we followed the hunch of a tourist. 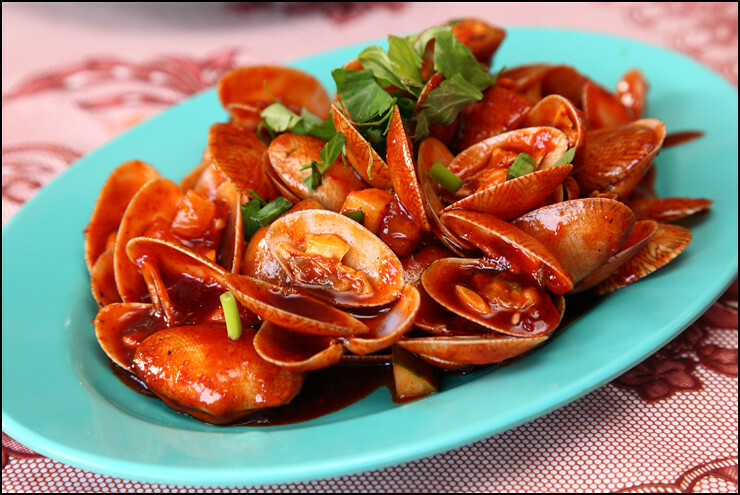 Turns out the seafood wasn’t bad at all, tastes fresh and the cooking style is really spicy. We also had one of the freshest pari (stingray) here, with snowy white flesh and all but kinda sad it was burnt at some parts. Price wise it is quite OK I guess, RM38 for three types of dishes including sotong goreng tepung (awesome), half a pari, lala tiga rasa and a coconut. 8. Tai Chong Hygiene Ice Cafe. 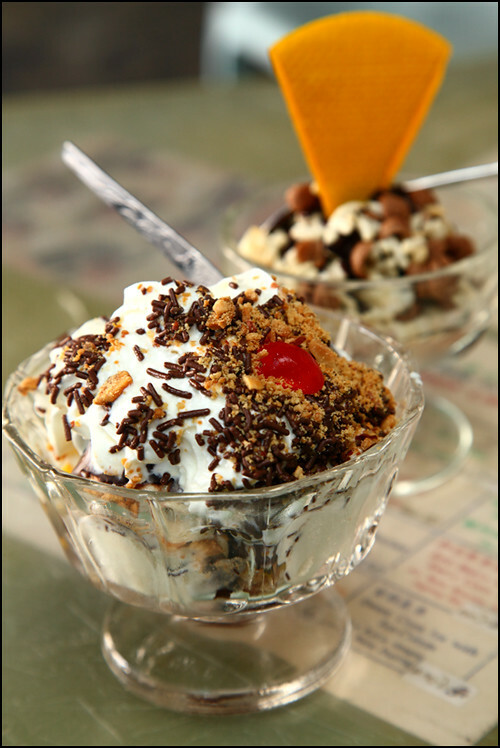 The classic sundaes here will surely bring back the childhood memories. Even though it is a shame that Tai Chong no longer make their own ice cream, the commercial one they use are not too shabby either. And check out those old school tables, definitely not something you see in your everyday life. And lastly, the bad ones which you don’t need to bother. Forget about all the recommendations you read elsewhere because they are just a waste of time. 1. 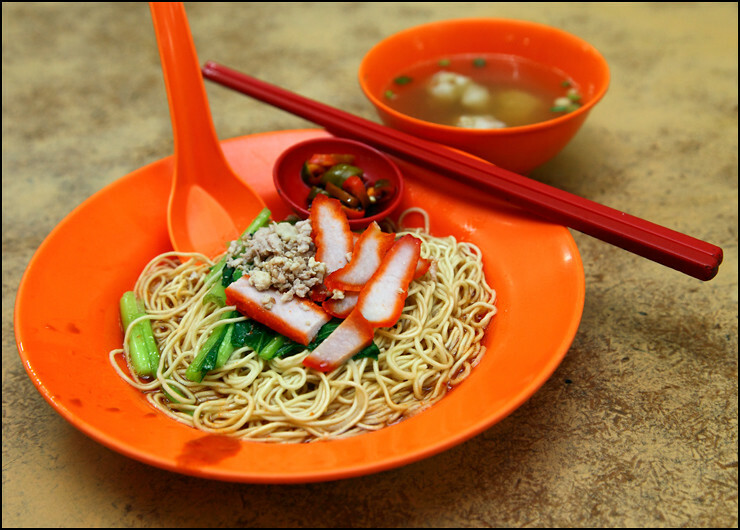 Wantan Mee next to Medan Selera Boon Leong. There are so many things wrong with this Wantan Mee that we stopped eating just after two mouthfuls. 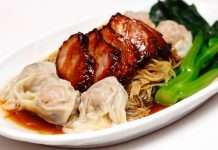 The noodle has no texture, chilli tastes too mild, red coloring char siew, wantan is made of 80% skin and 20% filling and the soup tastes just weird. This has got to be the worst Wantan Mee I ever had in my life. After this meal I can conclude that nothing sold here at night is good, not even near average. 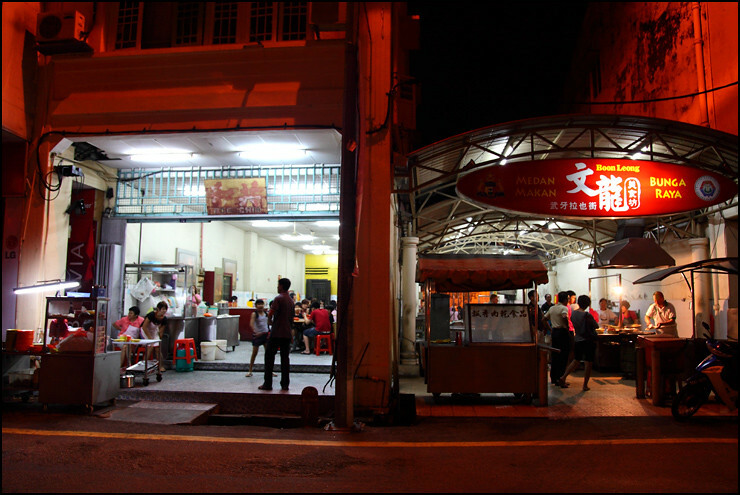 This applies to both the Wantan Mee and the most overrated O Chien in Malaysia just next door. 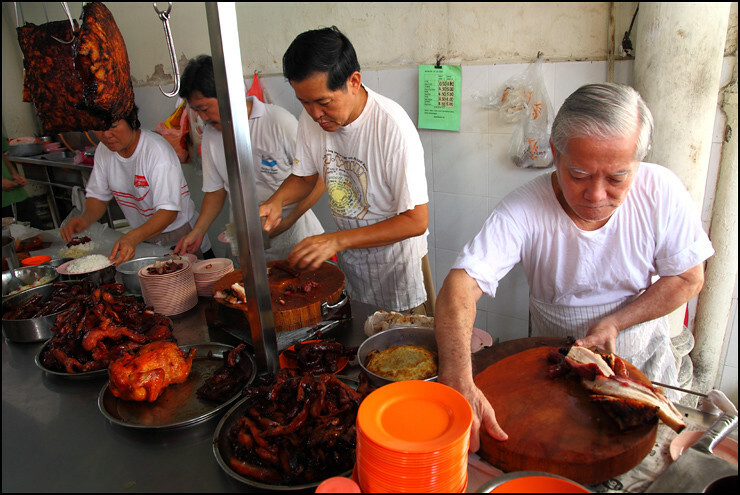 If you ever walk past these stalls, just ignore the crowd and keep walking. There is nothing to see or eat here. 2. 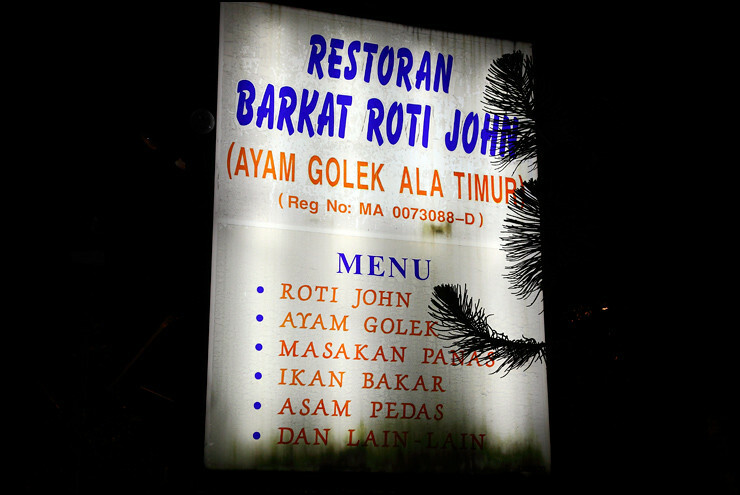 Puteri Erra Roti John. This has two problems: Firstly, the lettuce tastes bitter (I suspect it was not even washed) and spoils the sandwich’s taste entirely. Secondly, it is loaded with too much mayonnaise so it is quite disgusting. 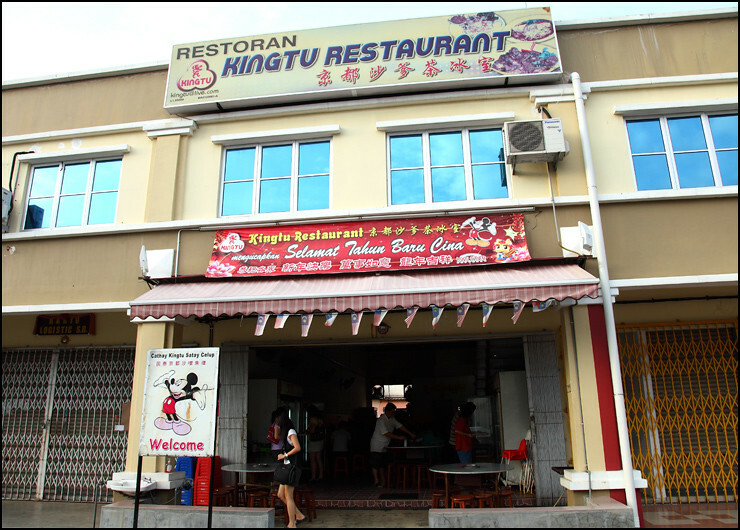 No need to travel to Melaka for this crap that they proudly label as “Best In Town”. 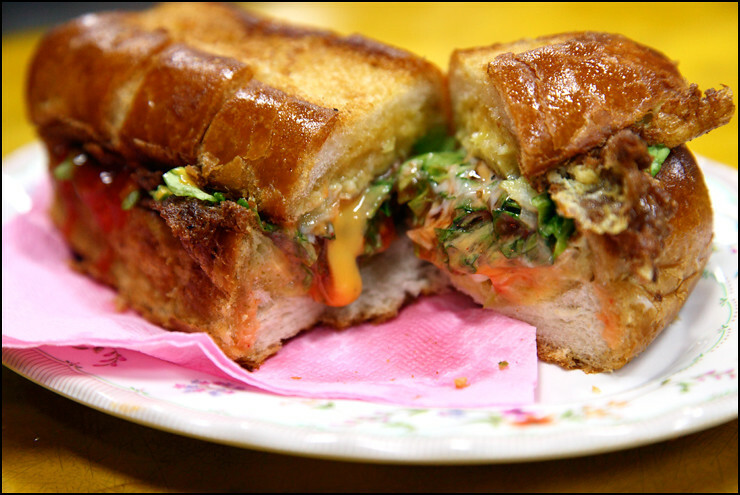 You can definitely find better Roti John that is actually edible at any pasar malam in Malaysia. 3. 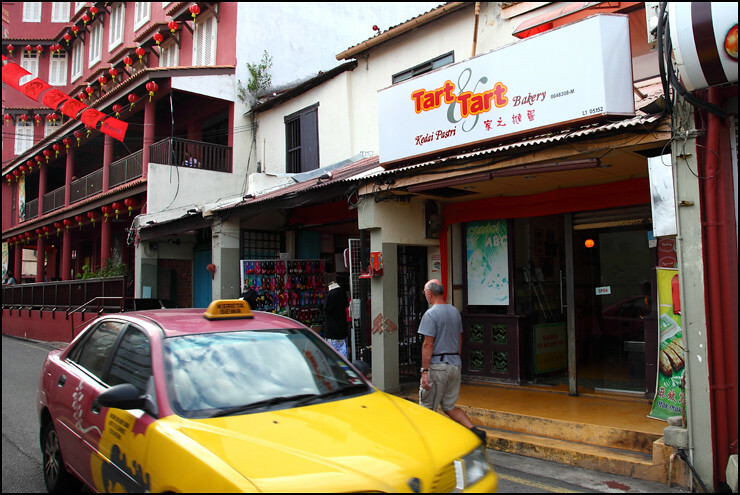 If you are near Sam Suk Gong, do yourself a favor and avoid Tart Tart Bakery entirely despite the huge number of customers (who I bet won’t even return again). 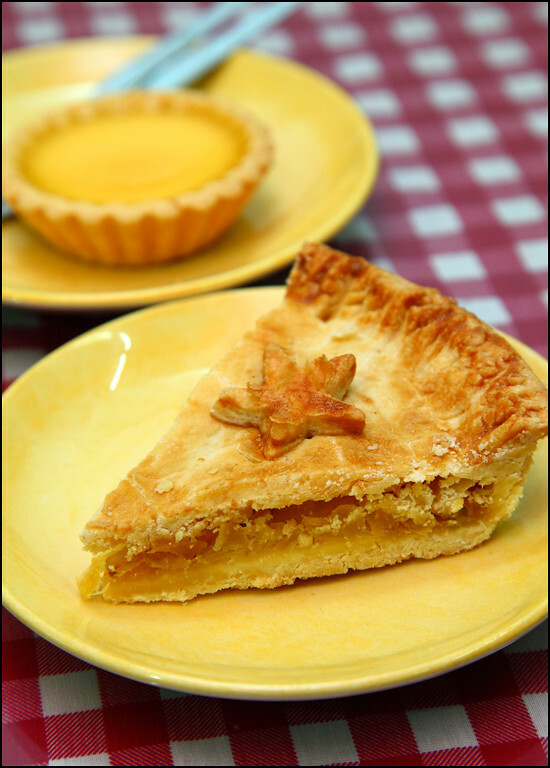 The pineapple pie tastes like an expired one which was just taken out from the freezer while the egg tart tastes like any other egg tart you could buy from any bakery. And not to mention their service is a flop too. 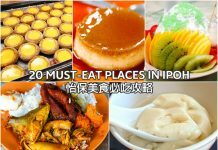 And there you have it, a list of good food you should try and to avoid in Melaka in my opinion. 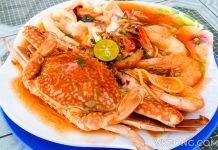 If you find this useful you may also want to refer my 48 Hours Melaka Food Guide I wrote 6 months ago. As much as I had enjoyed exploring Melaka’s food and sharing it with all of you, I feel that I have had enough after this trip. So I think I probably won’t be visiting this lovely state again anytime soon. It is time for a change so next up, Ipoh maybe?